Wayne Rooney has sensationally revealed his intention to move to the MLS side by joining DC United this summer, after spending only one season at his boyhood club Everton, which he moved to after previously staying 13 seasons at Manchester United. At only 32-years-old, Wayne Rooney has decided that it’s time to try something different and has expressed his wish to join DC United, which could either come as a shock and disappointment for Everton fans, or may even be seen as a good resolution, as some critics have claimed that he is way beyond his best years. Although Wayne Rooney is Everton’s top scorer this season, with 10 goals in 31 appearances, people fear he has run his course in the Premier League, which has DC United ready to swoop in for a £12.5 million deal, which would see Rooney join the Washington D.C. team as early as July 10th for the Summer transfer window. The signing of Wayne Rooney by DC United would be seen as a major coup for the MLS side, in bringing in England’s all time record-breaking goalscorer at the young age of 32-years-old, by no means suggests to us that he’s finished playing at the highest level, but naturally in the MLS, Wayne Rooney could be able to turn himself into an additional American legend. Wayne Rooney turned down a lucrative big money offer from China to play in the Chinese Super League in order to preferably play for DC United, however, Wayne’s previous wages of £300,000 a week at Manchester United, which was subsidised into the £150,000 a week at Everton this season, could now could become a major stumbling block, with the wage packet needing some serious attention in order for a deal to be reached. 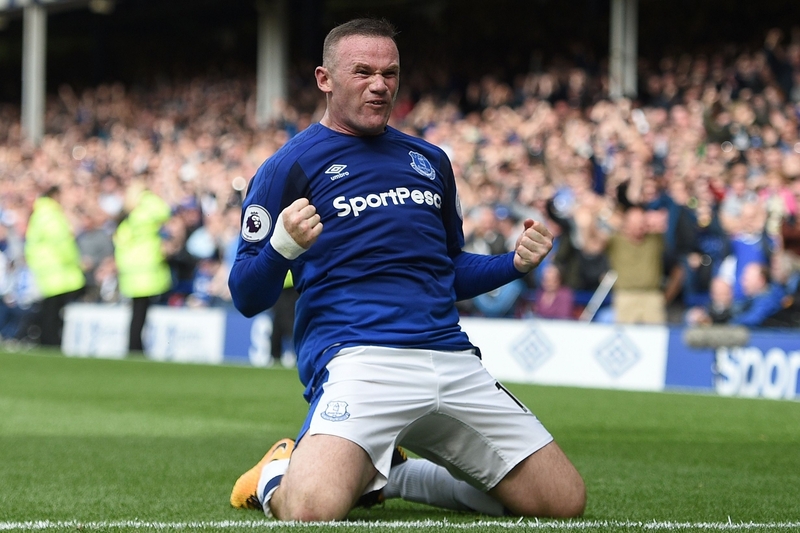 In the MLS, teams have a salary cap, and DC United are offering Rooney £3 million a year for their allocated star player slot, so how will DC United and Everton be able to reach a deal here? Well, with Manchester United already subsidising Wayne Rooney’s salary at Everton, with £15 million earned over the years from his contract with the Toffees (still outstanding), plus, if Everton are prepared to pay an additional £50k a week to Rooney into the pot of the deal, then maybe this deal can actually happen. Furthermore, with DC United bottom of the Eastern Conference with only one win in seven games, they could sure use the services of Wayne Rooney in attack and also use the help of the other teams helping to replenish his wages in a three-way club deal. Wayne Rooney could be free to leave after the last game of the season against West Ham this coming weekend, if the teams can negotiate a deal which works for all parties. Watch this space, because soon, you might see Wayne Rooney scoring goals in the MLS for DC United, pending more serious talks with his agent and the clubs involved.